South Africa’s presidency says former leader Nelson Mandela is progressing with his recuperation from illness and doctors are closely monitoring his condition. 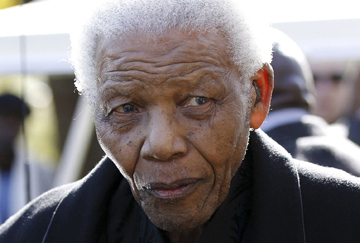 Presi­dential spokesman Mac Maharaj said Wednesday that “everything is moving OK” as 94-year-old Mandela rests at his home in Johannesburg after a hospital stay last month. The former president received treatment for a lung infection and also had gallstones removed. Mandela spent 27 years in prison under apartheid and became South Africa’s first black president in democratic elections in 1994.